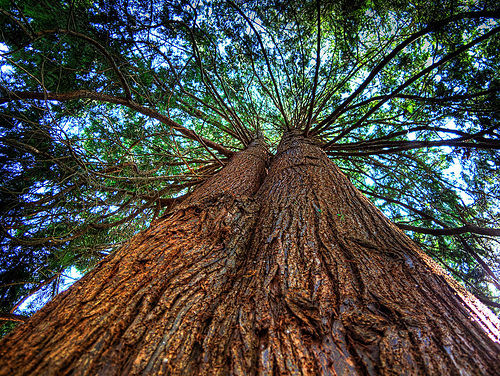 Red cedar is naturally resistant to rot, decay and pesky insect attacks. You won’t face the worry of mildew development like you would with a composite. Forget staining, sealing or painting, red cedar is hardy and one with nature. Unlike other composites or synthetic materials, western red cedar is a designers dream when used for siding or other outdoor projects. While it’s known to be a great base for primer and paint (holding a solid stain for up to eight years), it’s in vogue to let your cedar naturally mature. A silvery-grey patina develops when red cedar is left untreated, offering the perfect option for those who prefer low maintenance beauty; and let’s be honest, who doesn’t? Customization is often key when finding the ideal look or fit for a project. Red cedar comes in various surface textures, lumber dimensions and grades for one-of-a-kind designs. Cedar is easy to saw and glue and takes fasteners without splitting. Western red cedar is strong yet surprisingly lightweight, making it easy to cut and bend (a friendly material for DIYers). While certain materials may not readily come in unconventional sizes needed for outdoor structures like a garden shed, cedar is a no fuss, down-to-earth option that usually does. You may not know that Summerwood resides in Toronto, Canada, with a showroom open for visitors interested in great outdoor designs. We’ve been busy creating a wall display that will help with the design process. It can be daunting walking into a showroom with no real idea of how it all works, so we made it easy. A few eager Summerwood employees rolled up their sleeves and put their paintbrushes to the wall. We had a lot of fun so we figured we’d share our 6 easy steps to creating your perfect garage, gazebo, playhouse or even man cave. Our chalkboard wall is complete! We offer a bunch of styles whether you’re interested in a gazebo or cabana, a storage shed or a garage. Browse our styles and remember that the details are chosen by you! Check out our favorite prefabricated & prebuilt structures and get a taste of what we have to offer. It’s all about function and style, and luckily we provide both. Rough or smooth cedar offers a rugged, classic look, while our maintenance free option says it all in the name. Mix and match siding options with your trim choices for the look you want. Don’t overlook your roof choice. It comes down to fiberglass or cedar shingles. Decide on the look you want and the kind of work you want to put into it. Cedar and fiberglass shingles roughly share the same lifespan, but cedar will require a little TLC. Don’t be put off by the extra care cedar may initially require, it offers a beautiful look that lasts. Your door and window choices are what will add character to your shed, garage, gazebo…whatever it is you’re looking to design. Have fun with it and let your own personal style shine. Whether you’d like a loft for the kids, benches, shelves or upgraded flooring, we offer a plethora of choices. Your interior is just as, if not more important than the exterior, so make sure you get everything you want and need. Pat yourself on that back! Once you reach this step the work is done and it’s time to bask in the beauty of your new pool cabana, studio or garden shed. Polish your final look with the perfect hardware, shutters or even weather vane. So those are our 6 easy steps! If you’re visiting us in Toronto or doing it all through the web, keep this in mind when you think the process of designing your perfect shed or gazebo seems intimidating. It really isn’t. Visit the Summerwood custom design center or call our friendly design staff and get started!